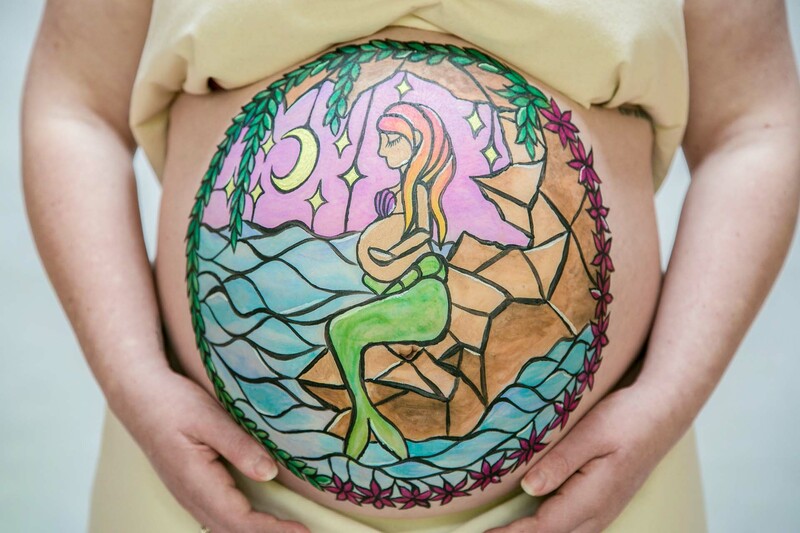 A body painting experience is a wonderful and creative way to celebrate your pregnancy. 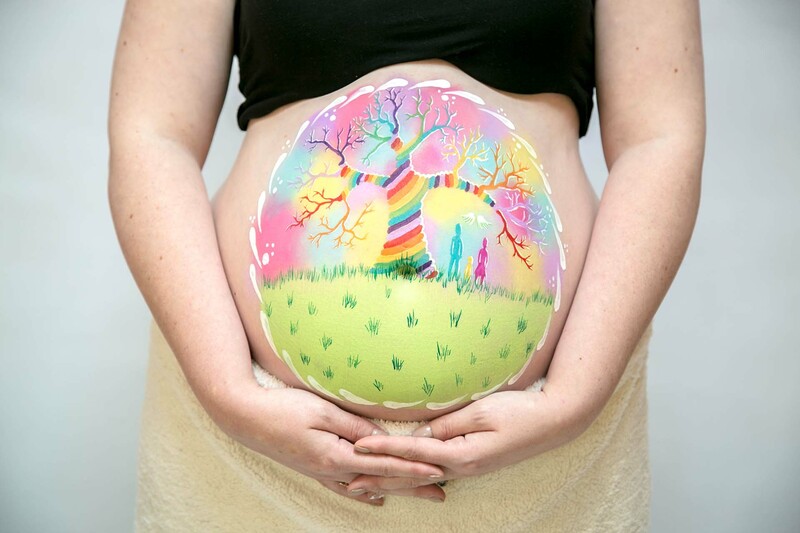 Loretta Hope designs and paints bespoke baby bump designs, so every expecting mum has an experience personal to them, and unique photographs to treasure forever. 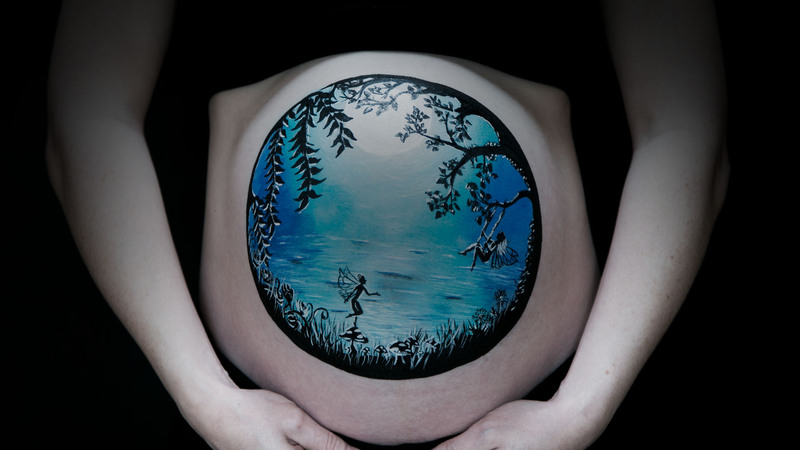 The ideal time for a maternity paint is 32 – 37 weeks. 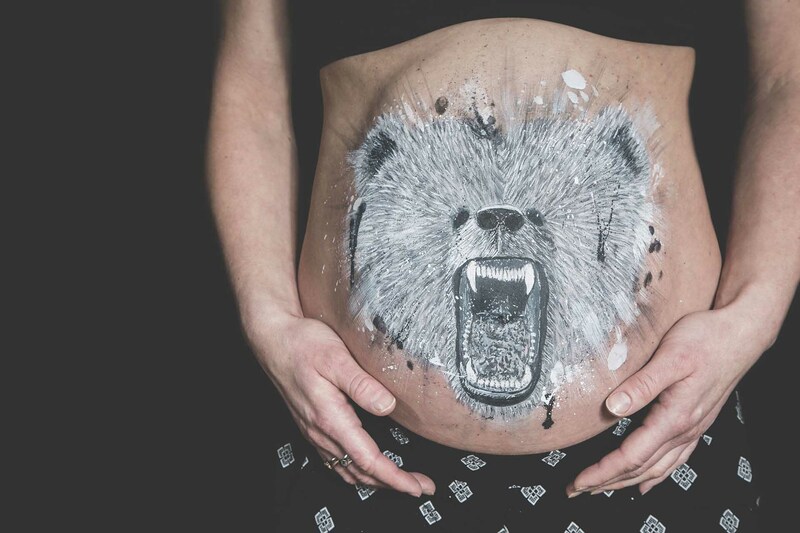 Feel free to get imaginative with your design, and send an inspiration picture or two through. If you don’t have any ideas, don’t worry! The possibilities are endless. Make sure to wear something comfortable, then sit back and relax with a drink and some nibbles, whilst your baby bump is transformed. The duration of the paint sitting can depend on the complexity of your chosen design and ranges from 1.5 to 2.5 hours. A photo shoot follows, once the paint is complete. From this, you’ll receive several high-quality digital images, suitable for printing. 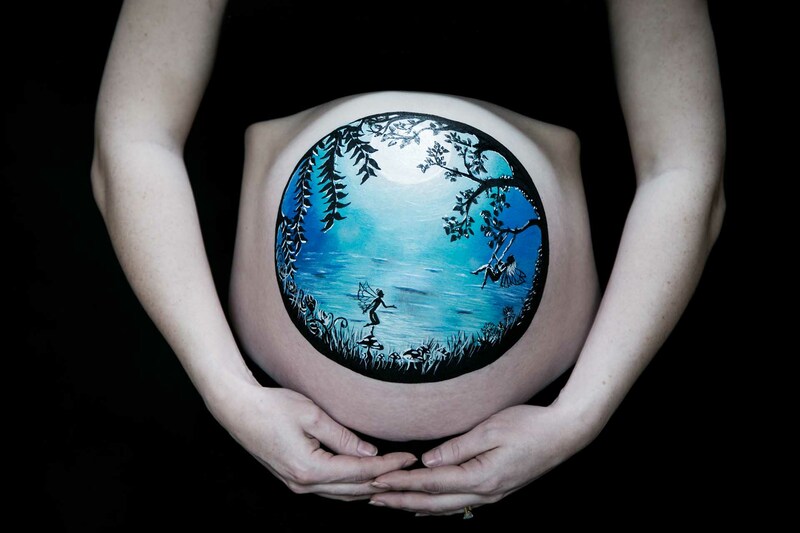 Most mums wear the paint home to show their loved ones. 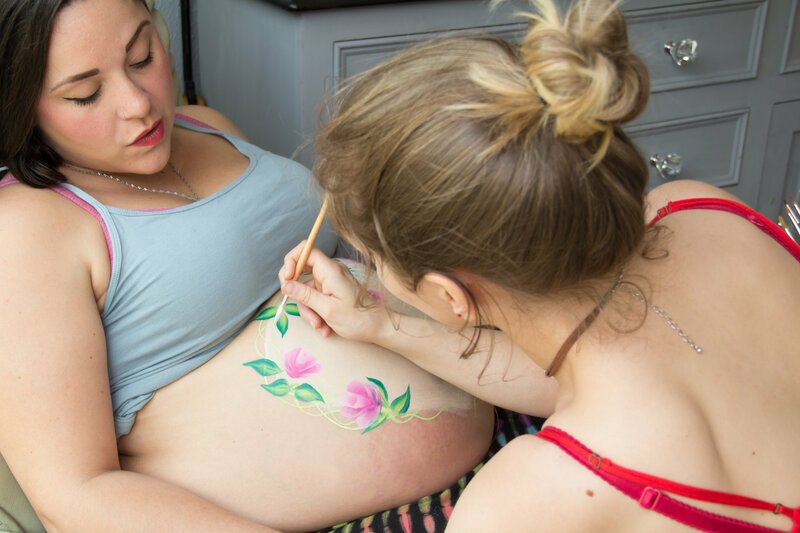 The body paints used are cruelty-free and vegan, non-toxic, safe for mum and baby and will wash off with soap and water. Loretta is based in Birmingham and is happy to travel or for you to travel to her. Excited? Please see previous work below! You already have a preferred family photographer and hire Loretta to paint. You’d like to work with a photographer recommended by Loretta, and hire the two together. Package prices available. You’d like to hire Loretta to paint and take images too.